Cards: Playoff 1999 (6279), Leaf Rookies & Stars 2004 Slideshow, Panini Classics 2016 NL, Panini Classics 2016 Legends*, Panini Contenders 2018, Panini Elite 2018, Atomic 2002. 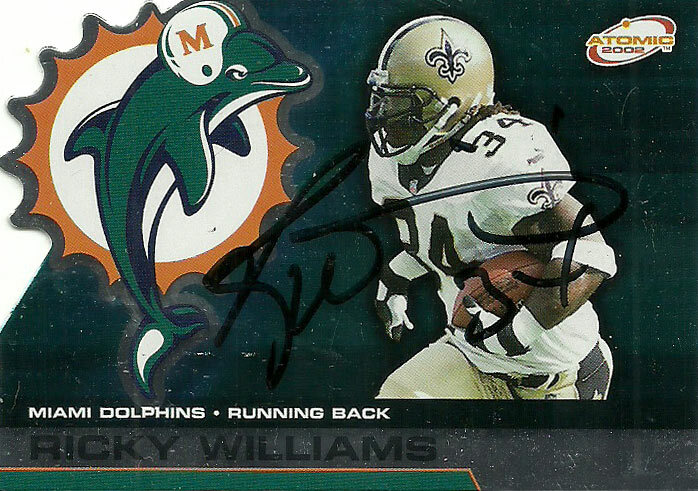 There is really no end to the plethora of cards I can find that I like for Ricky, so I just keep stacking them up- as long as he keeps signing of course. I’ve gotten Little Earl more times than any other player, and each time I meet him, each interaction is a unique experience. 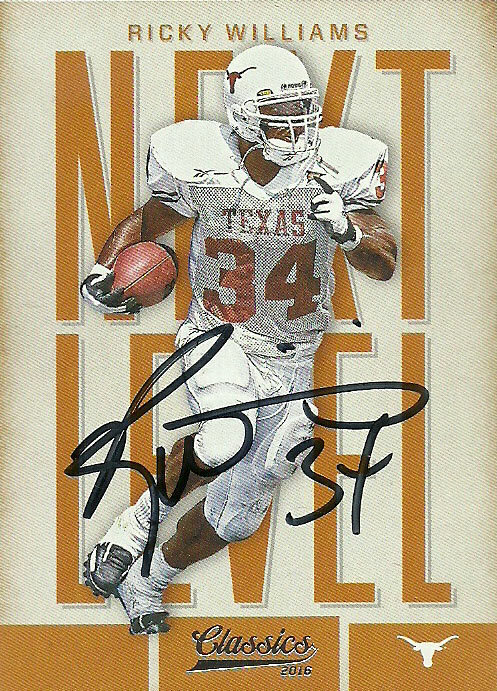 When I went to the 43 and 34 Camp, it was a blisteringly hot Texas day. After the event ended, people swarmed him as he slowly made his way to his car. He knew if he didn’t start that way at that moment, he’d be here all night. Still Ricky practiced an immense amount of patience, realizing perhaps that he was stuck, he just stopped at the entrance to the stadium and started signing. His gatekeeper tried in vain to get people to line up, and although there were cutters I waited to get up to him. It’s like the world goes silent and nobody is there. Ricky has that effect, or I do- I am not sure. He was like, “Hey man! Long time no see.” I told him that having a kid will do that to you. Ricky has a new line of cannabis/ natural herb wellness products. I’m hoping to get some shipped to Texas to see if it can be of benefit to my father who suffers from lupus. These cards are just flat out amazing. Every time I think I run out of cards, I find a few more that I really like. The Leaf 2004 Rookies & Stars Slideshow is translucent. 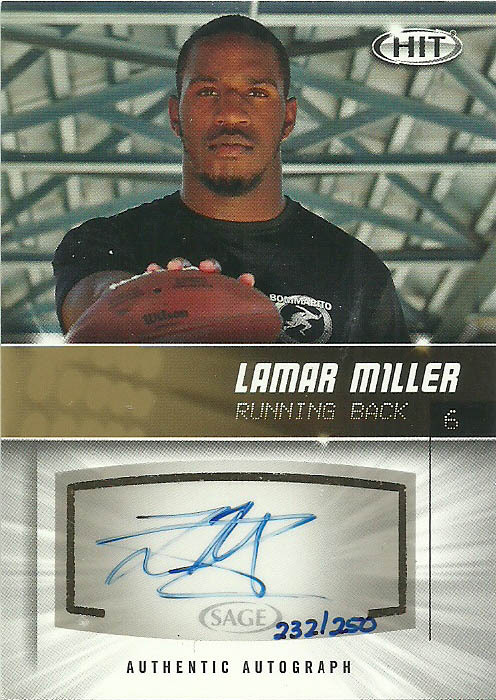 The scan just doesn’t do it enough justice, but it is a well designed, exciting card. The Playoff 99 card is another gimmicky card. It’s translucent with the numbers in a velvet material. Later I went to the Heisman House Tour that came to DKR before the Texas USC game. 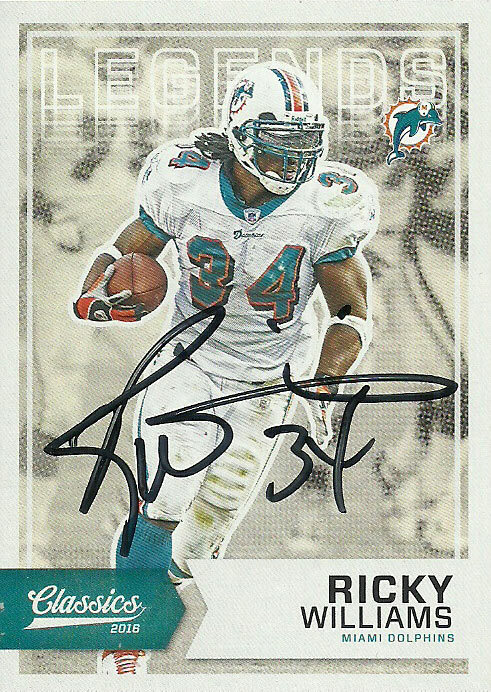 Knowing Ricky was there I packed quite a few cards for him to sign. The problem was they had a nasty gatekeeper. I got up to the stage and Ricky recognized me. We chatted for a few seconds while he signed a card. This woman came out from the door connected from the tent and shooed me away before I could get the rest. I just said to Ricky with a smile, “I’ll come back around again.” The line was not long at all for Ricky. The humidity or the weather prediction (of rain that never happened) kept people away. I got back in line, cruised back around, and got the rest of the cards signed. We had a good and quick chat this time. I asked him if he’d have a touchdown dance now- since the league had lifted the restrictions on the rules. He initially told me no, but then re-thought it when I suggested Arian Foster’s ‘namaste pose’. I then quickly suggested that he go on Arian’s intriguing podcast as they both had really interesting philosophical ideals. He said he’d be interested and consider it, but he and Arian hadn’t talked in a while. All in all again, some really nice cards I got signed at the Heisman House Tour. I really liked the NEXT LEVEL card the best- even if it is the same photograph from the Panini Elite card. 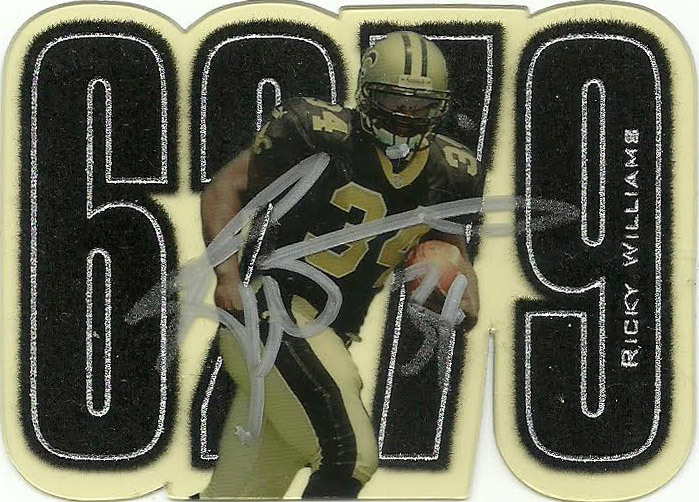 The backside has him in a New Orleans Saints uniform, and could also be mistaken for the front as well if not for its lack of gloss on it. The Elite card is nice and flashy. I like where they have taken the design of this set over the years. 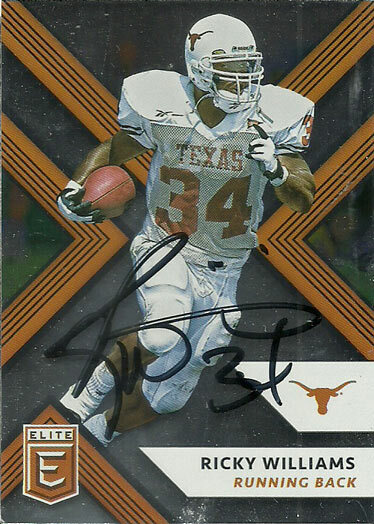 Even the logo is a much needed improvement over the Donruss Elite logo. It’s a shield/chevron. That’s smart design. 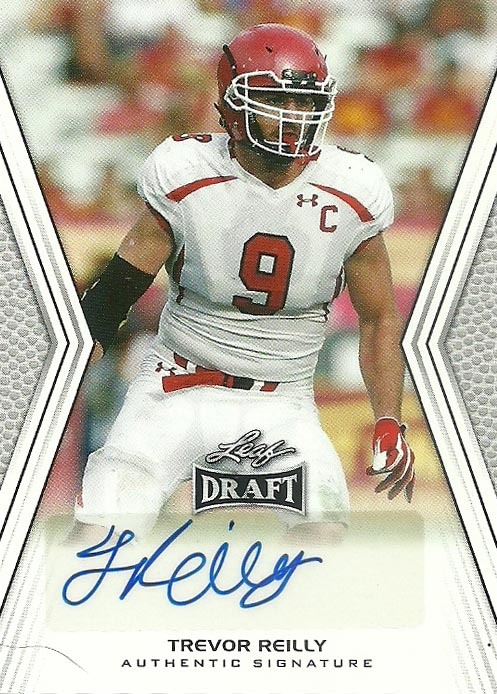 The Classics 2016 card is for D-Rock on Sportscollectors.net. He had previously helped me out by sending me a Eugene Chung autograph I needed. What was touching about it was that he was reaching out to me because he hadn’t seen me on the boards in a while. 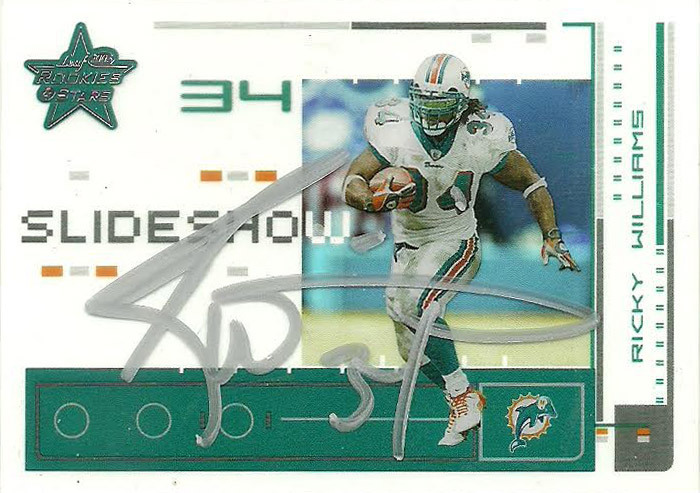 I had been stung badly by another collector on Sportscollectors.net who offered to get me some autographs and then pulled the rug out from under me as soon as I agreed. Anyway D-Rock’s kindness really struck me, so I offered to help him out when I had a chance. It took me a lot longer than I thought to get this autograph, but I can see why he wanted to get this one signed as the Classics card is not only a nice card, the autograph really sticks out on the canvas.